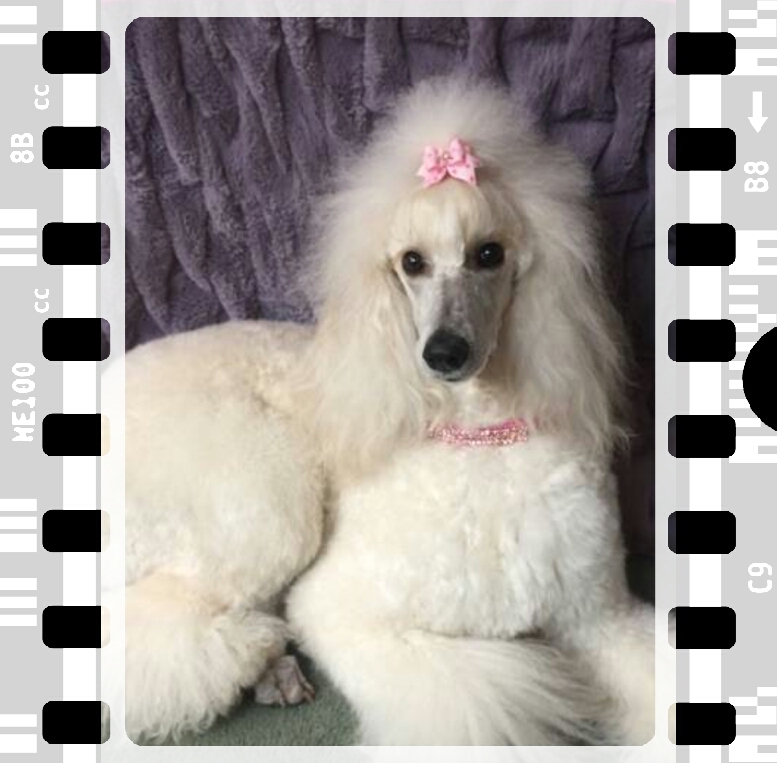 So you’ve spent some time looking at our products and are thinking about ordering one of our fabulous designer collars but have a few questions? While we’re always available for questions and would love for you to contact us, we do have a list of some frequently asked questions at your disposal. 1) What is Actual Snug Neck Size in Inches and why is it important? Actual Snug Neck Size in Inches is a measurement you take of your pet’s neck. This measurement should be taken with a cloth measuring tape and be a very snug measurement with no extra added in. We use this measurement to custom create your collar to fit your pet perfectly! We do add extra for comfort and room to grow! Don’t have a cloth measuring tape? You can use a string to take the snug measurement and then lay it out on a ruler or click here to get a printable one! 2) Do your collar sizes run the same as other manufacturers? No, our collars do not run the same as other manufacturers. This is another reason the actual snug neck size is important. When you choose your collar size at the time of order, you are choosing the size that includes your actual snug neck measurement. We set the size ranges for pricing guides. Your collar is custom to your pet’s snug neck measurement. 3) What is a Center D Ring? Standard collars have a D ring near the buckle, ours have this as well but we also offer the option of Center D Ring. A Center D ring sits at the top of the dog’s neck and makes it very easy to reach to attach the leash, placing the leash at the top of the neck instead of under the chin where the buckle rests. When you add a Center D Ring, you still get the standard D Ring near the buckle for hanging charms and ID tags. 4) Why doesn’t it give me the option to Add a Rhinestone Buckle to the collar I want to purchase? 5) Do you do custom requests? Yes! One of the great things about hand creating each collar to order is that we have the capability to make your collar exactly how you want it. We can even make an especially custom collar that isn’t on our website at all. Just Contact Us and let us know what you’re wanting! 6) Can I get the collar I’ve fallen in love with made as a cat safety collar? Almost all of our collars can be made into a cat safety collar. A few can’t and are notated in the description that they can’t be made into cat safety collars. If the collar can be made into a cat safety collar, you can request this by adding “Add Cat Safety Collar” to your cart from the Charms and Extras section or typing it into the Custom Request box when you place the collar in your cart. There is no charge to make a collar into a cat safety collar. 7) How are your cat safety collars made? Our cat safety collars are made by adding elastic onto the buckle. This makes it easy for the collar to slip over your cat’s head if they get into a tight spot – which they are very good at! 8) Do you use quick release buckles? No, we do not use quick release buckles. We use regular metal dog collar buckles. 9) Do you ever run any kind of sales? We do run sales from time to time and they will be posted on our home page in the announcement bar as well as underneath the review on each item page. Details of the sale can be found in our Terms section along with our shipping and return/exchange policies. 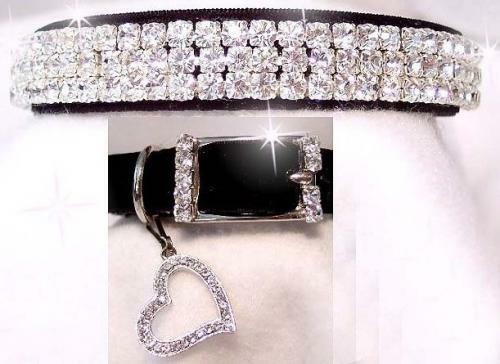 10) How do I care for my pet’s rhinestone collar? It is important to remember to care for you pet’s new collar just like you would your own fine jewelry. Cleaning of the collars should be done with a gentle soap, some warm water, and a soft brush. Run the brush in soft circular motions over the stones, gently working around the prongs. Rinse with clean warm water until all soap is rinsed off. It is best that the collars be worn for outings and quiet times at home versus being worn as an everyday collar especially if your pet is highly active. We hope this helps answer some of your questions but know that we are always available for you. From our website use the Contact Us tab to send us a message and we promise we’ll respond quickly! You can also email us at chiefrhinestone@gmail.com. Click here to continue viewing our products. Can’t use the promo code love. Where to put it ? After you have added the item to your cart, you will enter your address information. Once you have done this, you will go to the billing screen where you will choose your method of payment. On this page you will see a box marked COUPON. Enter the code in the box and click Apply. 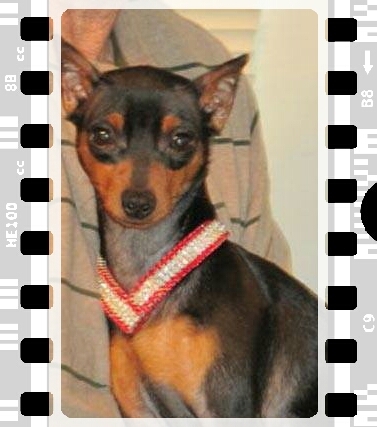 Would love a wide 1.5 inch rhinestone collar in martingale style. Any chance of that happening? I sent an email to your personal email, I hope that you have received it. 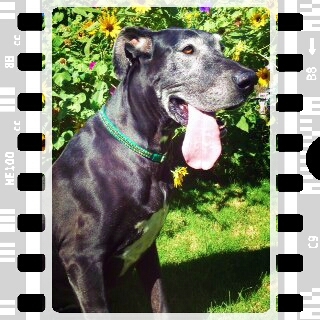 If not, please email us at rhinestonedogcollars.net@gmail.com, we’d love to talk to you about your request. Thank you!